The Highrise system can easily achieve this plus more. With 3m wide platforms and the inclusion of our one metre wide walkways, access into the sheds on the gantry is no problem. With handrail panels on the walkway, it is a safe and ideal position to survey the building site. 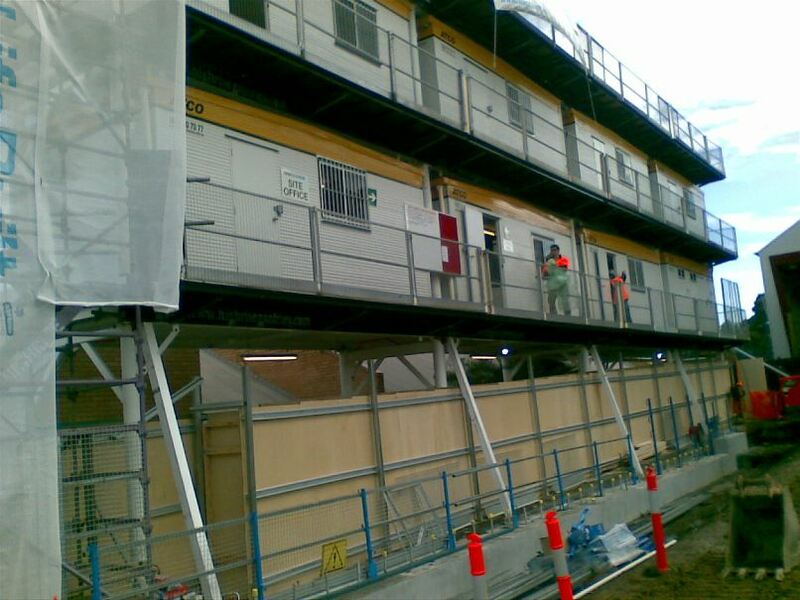 The Highrise system also allows for double stacking of sheds, subject to engineering. 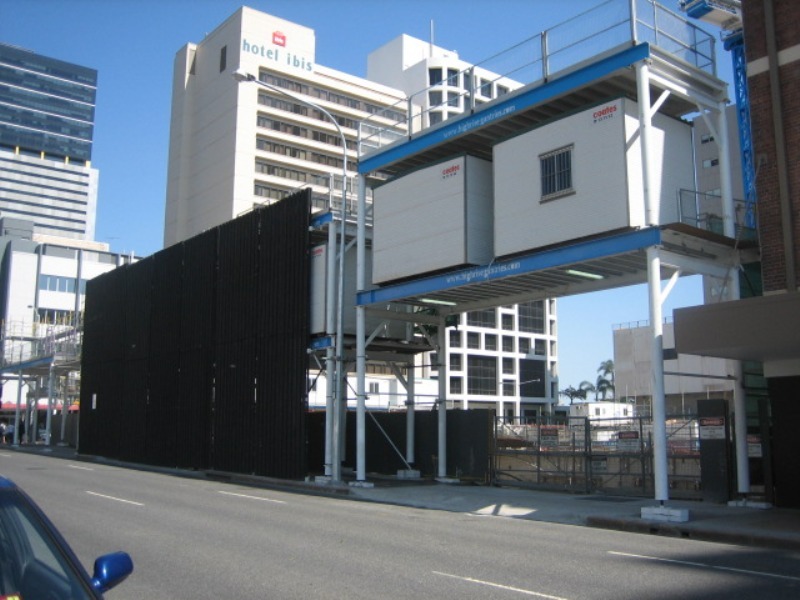 In the photo to the left we have a very small site in the Brisbane CBD that had no room for any site facilities until the basement was constructed. 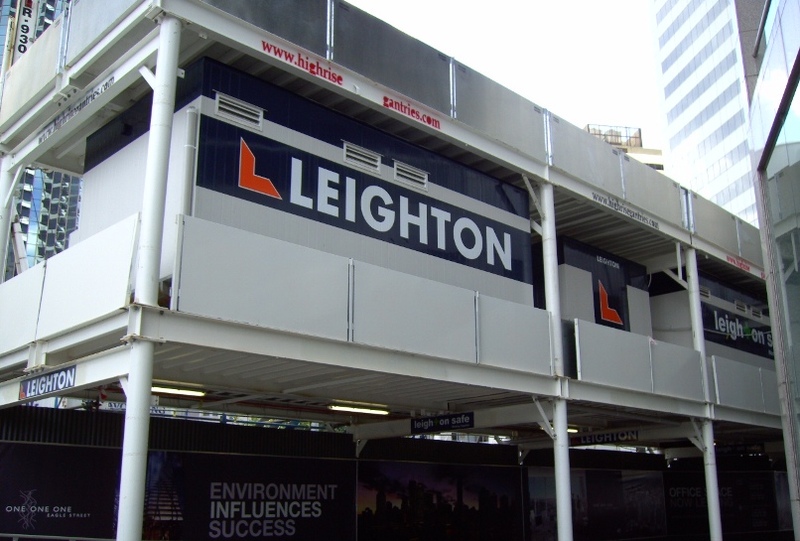 Highrise assisted the builder with this gantry that was completed over two days and gave the builder storage space, as well as site shed support and protection to the public walking underneath. 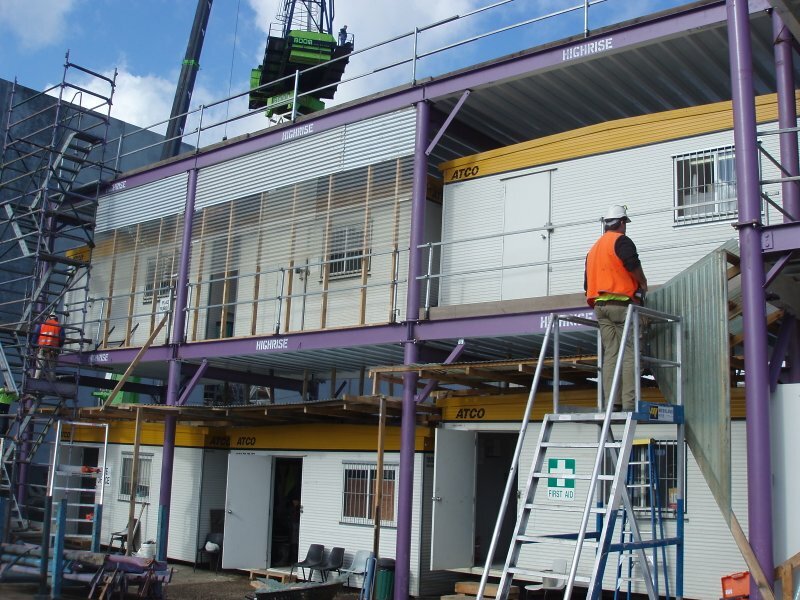 Once they were in a position to relocate the site sheds to the basement, the top was removed leaving overhead protection only, which reduced their overall hire cost for the remainder of the project. 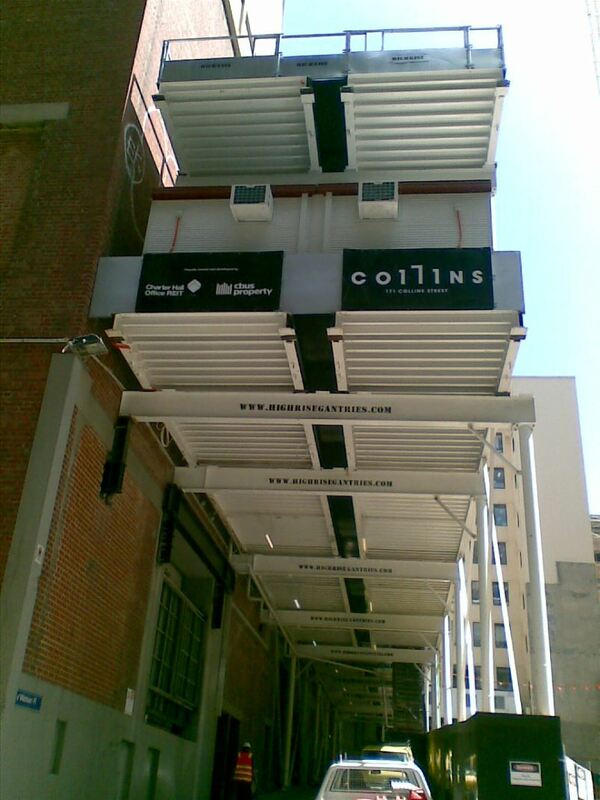 A unique feature of the gantry when supporting sheds, especially with a second level, is that the standard length of each platform is 7 metres. This gives the builder the opportunity to use 6 metre sheds in between each set of columns, thus utilising the gantry floor space to its maximum. 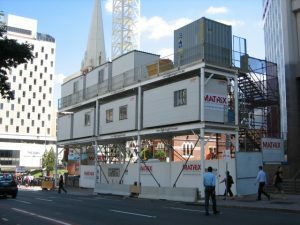 When craning over the sheds, it is generally a requirement that a protective deck is constructed over the sheds for obvious reasons. 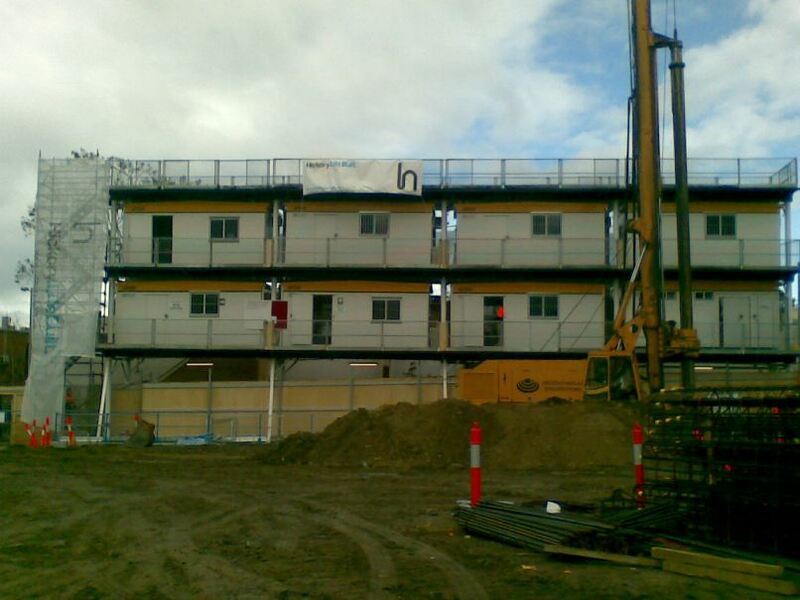 Highrise solves that problem by simply erecting a second level to act as a 10kpa protection to the sheds below.